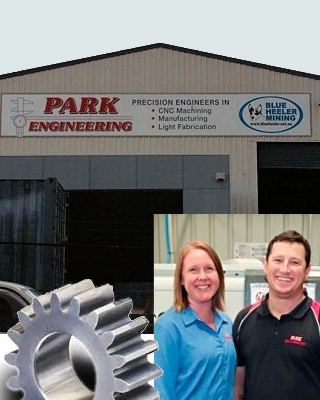 Park Engineering is a family owned and expanding CNC machine shop located in Unanderra. Park Engineering was purchased in October 2006 and has grown through our quality and competitive pricing to what you see on this website today. Park Engineering prides its self on quality, safety, delivery and customer service. Park Engineering would like to invite you or your company to come and have a look through our “State Of The Art Workshop” and meet our staff. Park Engineering believes it has a lot to offer with our wide range of manufacturing services and skills. Park Engineering provides free delivery to the local area and can also come on site to help with any problems where you may need some technical advice, for the best way to design components coming from the manufacturing side. Being a family owned and run business, Park Engineering takes a very hands on and personal approach to managing its staff. The company currently employs 20 full time employees + 3 apprentices. Recruitment practices ensure that each new staff member is capable of adhering to the company’s values and standards. The company’s apprenticeship training commitment also ensures that the company has access to a stream of new and appropriately trained staff coming through its ranks for future growth. The personal people culture developed at Park Engineering results in low staff turnover, the resulting workforce stability providing customers with consistency of communication and service quality expectation. Training and professional development are given a high priority with all staff supported to improve their skills and capabilities and to maintain any licences and accreditations. J & K Custom CNC Pty Ltd was established in September 2005. The business originated at the rear of a mechanics shop in Kemblawarra.. In October 2006 J & K Custom CNC Pty Ltd purchased Park Engineering and moved into their premises at 115 Industrial Road, Oak Flats. As a result of buying Park Engineering business increased as we went on the consumables list for Bluescope Steel. Our customer range expanded to the likes of Metal Manufacturers and Complete Hydraulics. Our staff also increased to 8 employees. In March 2010 we decided that we had outgrown the premises in Industrial Road, Oak Flats and we moved to bigger and better premises at 21 Industrial Road, Unanderra. Park Engineering currently employs 10 full time staff including 3 apprentices. Park Engineering is now at the cutting edge of technology with the latest machinery and always continues to train our staff with the most up-to-date software and tooling.